As a young girl in Rome, Elsa Schiaparelli (1890 — 1973) felt "brutta" (ugly) and searched all around her for beauty. 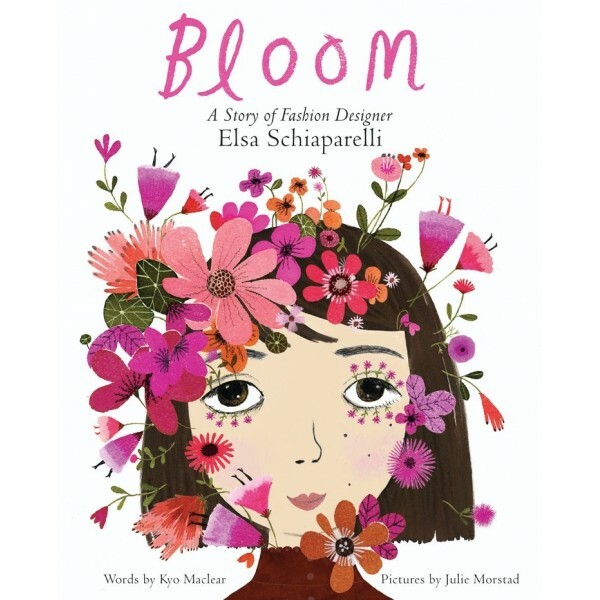 Seeing the colors of Rome's flower market one day, young Elsa tried to plant seeds in her ears and nose, hoping to blossom like a flower. All she got was sick, but from that moment, she discovered her own wild imagination. In the 1920 and '30s, influenced by her friends in the surrealist art movement, Schiaparelli created a vast collection of unique fashion designs — hats shaped like shoes, a dress adorned with lobsters, gloves with fingernails, a dress with drawers and so many more. She mixed her own bold colors and invented her own signature shades, including shocking pink. 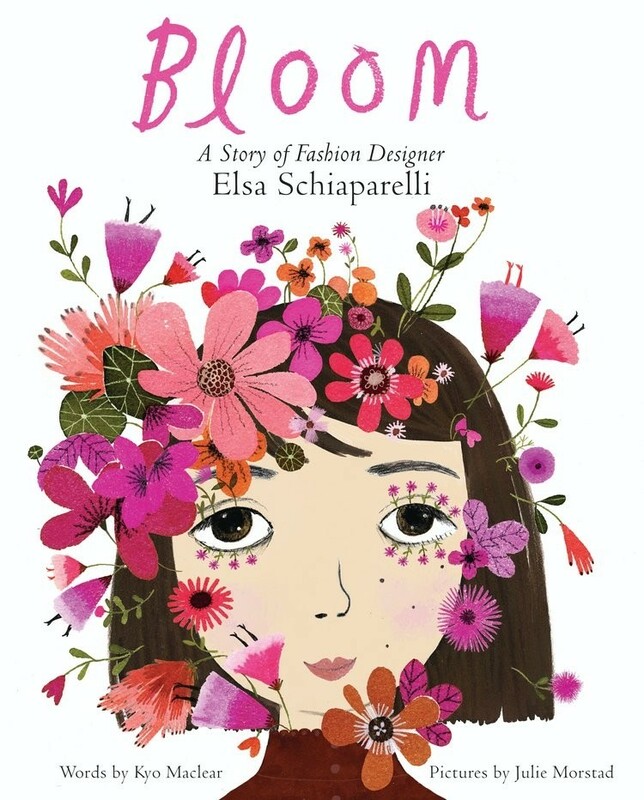 Bloom: A Story of Fashion Designer Elsa Schiaparelli is a stunning and sophisticated picture book biography that follows Schiaparelli's life from birth and childhood to height of success.